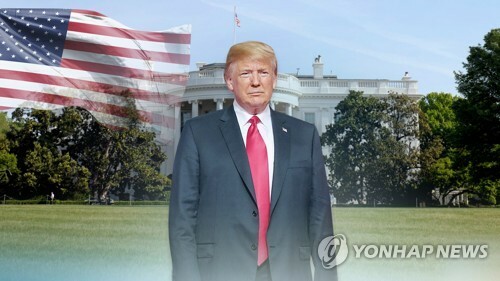 SEOUL, Nov. 14 (Yonhap) — U.S. President Donald Trump has dismissed a news report on North Korea’s hidden missile bases as “inaccurate,” amid growing skepticism over Pyongyang’s willingness to follow through on its denuclearization commitment. The U.S. State Department did not comment on whether activity in the reported missile sites would constitute a breach of Kim’s agreement with Trump on denuclearization. Beyond Parallel has located 13 of what it calls an estimated 20 “undeclared” North Korean missile bases. It focused particularly on Sakkanmol, an operational missile base for short-range ballistic missiles that is located 85 kilometers north of the Demilitarized Zone and 135 km northwest of Seoul. “Substituting tendentious hyperbole for sound reporting may convince editors to feature a story on page one, but it is a disservice to readers,” Sigal wrote. “There is more than enough to do in negotiating constraints on and the elimination of North Korea’s nuclear and missile threats without exaggerating them and prematurely accusing Pyongyang of bad faith or calling into question President Trump’s wisdom for trying nuclear diplomacy in earnest,” the scholar added.